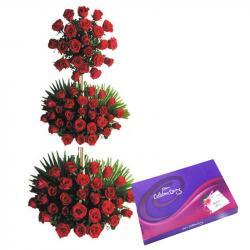 Product Consist : Bunch of 25 Pink Roses along with Cadbury Celebration Box (Weight : 125 Gms). 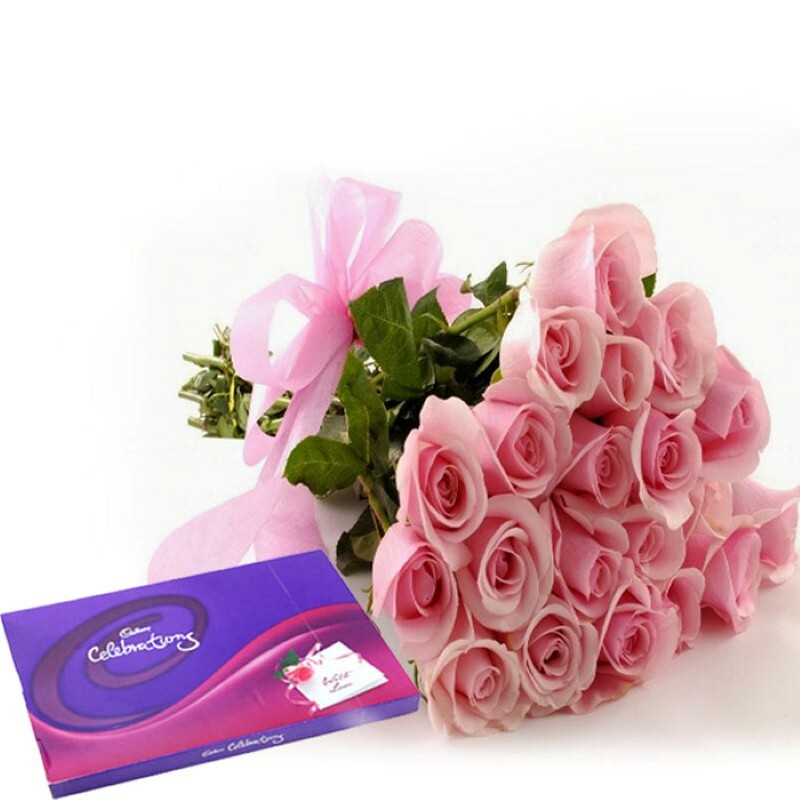 Express your deepest feelings for your sweetheart on this coming Valentine day with Pink Roses. Your beloved heart shall definitely melt when you gift her/him this Rose. 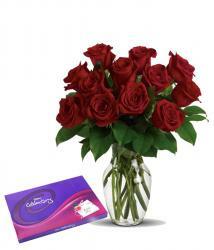 This bouquet is not only looking pretty, but is also conveying your special feeling of love. This hamper also includes Cadbury Celebration box which gives a yummy chocolaty treat on valentines day surely delights yours special one. 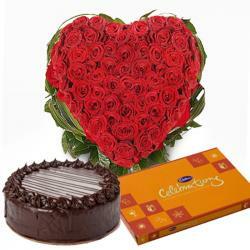 So go head and send this special Gift combo to your love ones in India. 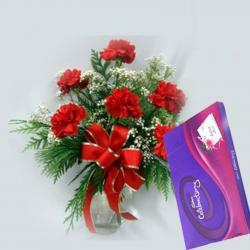 Product Includes : Bunch of 25 Pink Roses along with Cadbury Celebration Box (Weight : 125 Gms).